This project is one of the easiest you can do in my opinion. 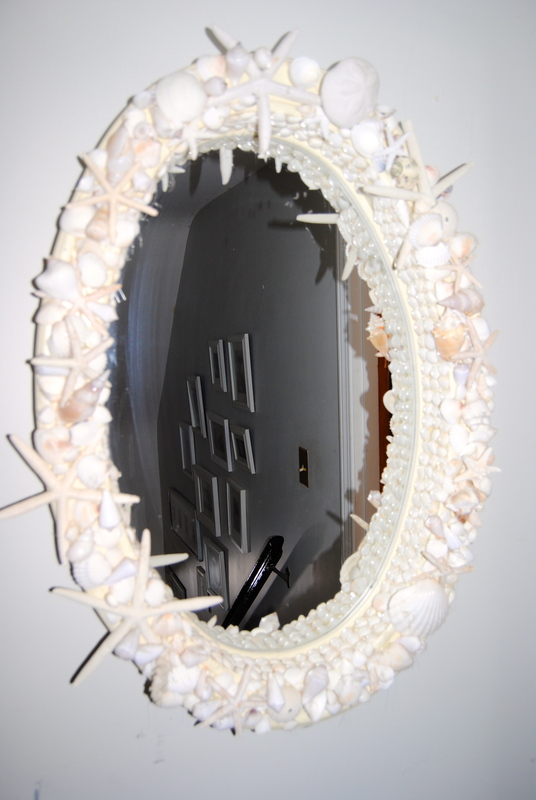 It only takes a Mirror, Seashells and Hot Glue Gun. Yikes, didnt notice the streaks! Depending on the size of the mirror, mine is quite large, the project can take several hours but you can leave it and come back. I chose a large oval mirror that was white to begin with. 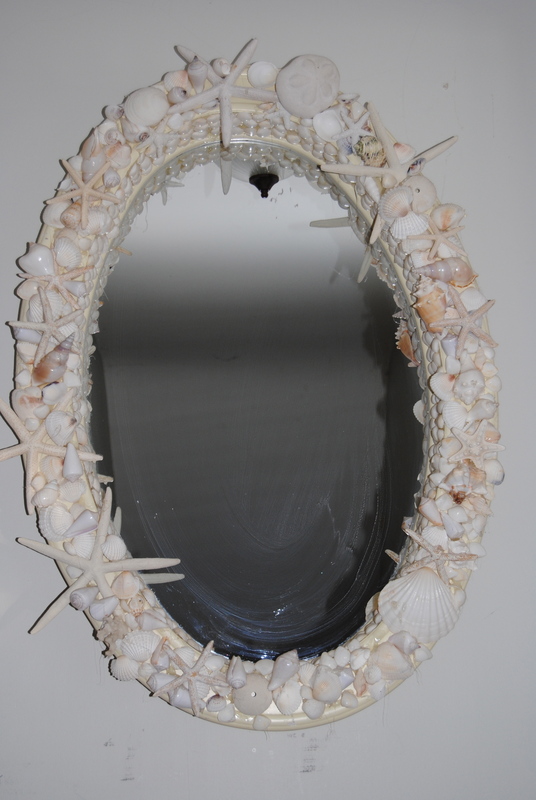 What I loved about this mirror was the depth of the frame so I could line it with several rows of smaller shells. I chose all white shells because I really like that crisp white look. But, if you have an old mirror that your tired of looking at this would be the perfect solution. 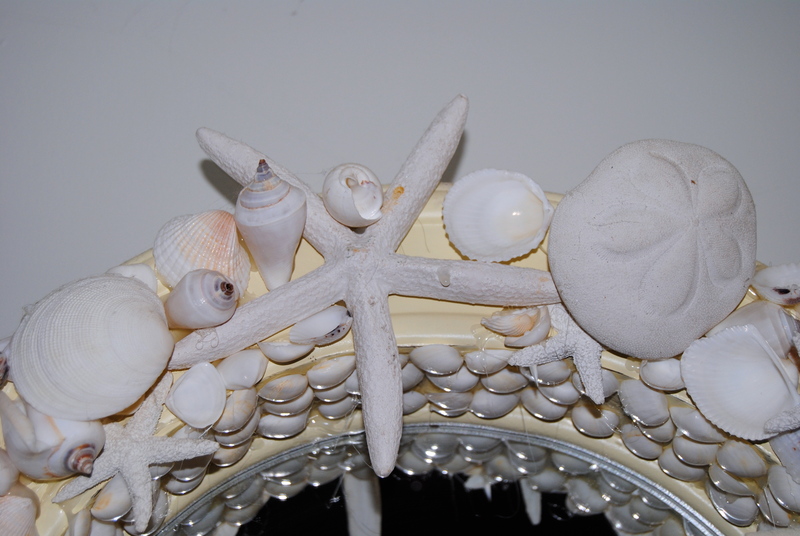 I have also made mirrors with natural colored shells, just starfish, and sea glass- all of them the same process. This sounds ridiculously simple, and it really is. 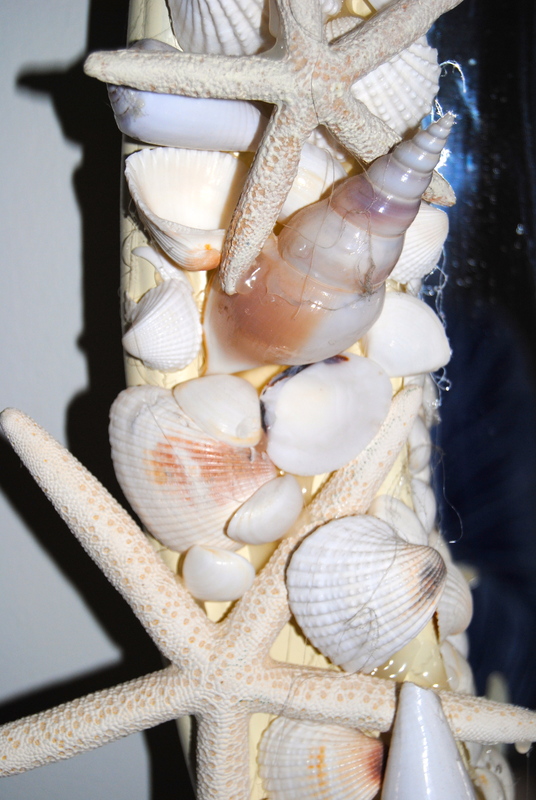 Just glue the shells on randomly over and over! 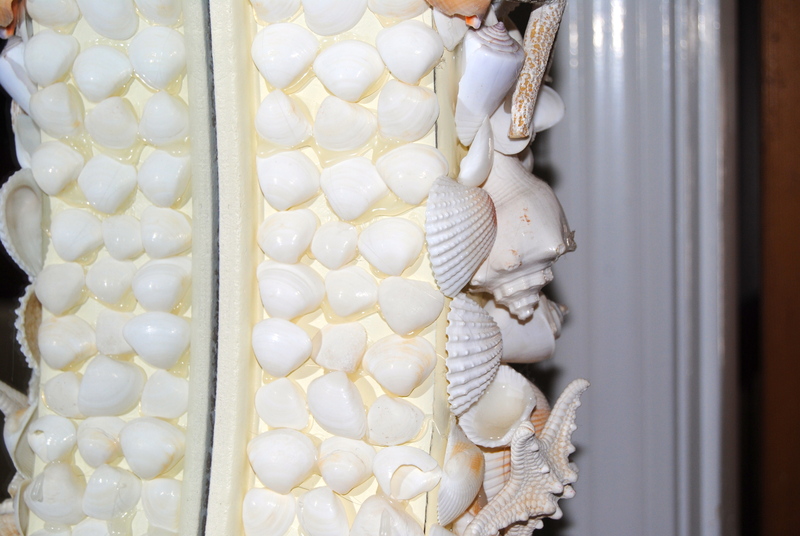 I chose to be more formal on the inside rim with the rows of small white shells. 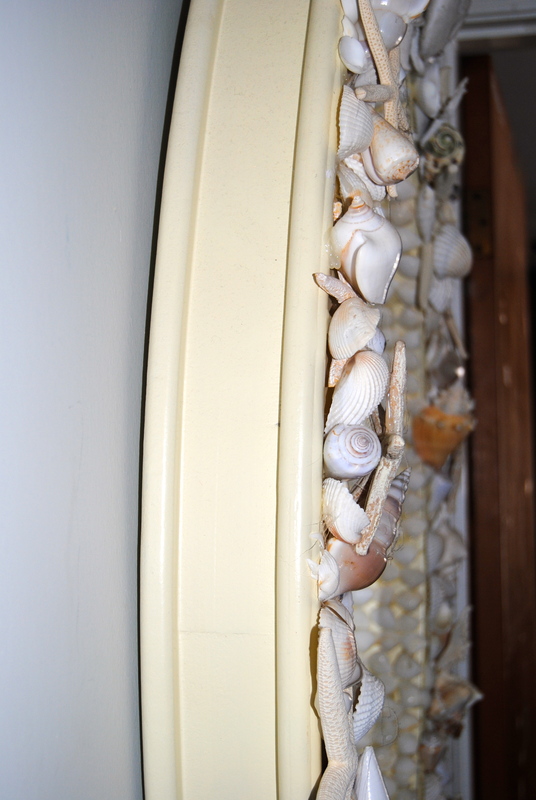 I found the best way to glue all of them on is to put the glue on sections then quickly stick the small shells on in rows. That saved a lot of time. So, thats it, easy peasy! You will have a lot of glue “webs” but you can pick those off when you notice them. Friends and family couldn’t believe I made that when they saw it hanging in my hall. The results are really rewarding and beautiful.